Protection of a Computer’s data is a must in today’s time. There are many hackers and crackers sniffing around your PC to exploit your system. You might have seen a rise in spam emails containing virus or scripts. To get protected from these spams and viruses, you need a highly functional antivirus software. 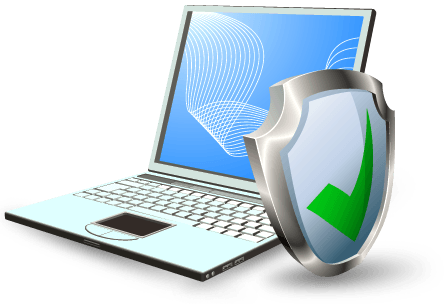 Today we will provide you with a list of 5 top free antivirus software 2016 to make your PC safe. You might think that why to download an external software? My Windows is already protected with Firewall and defender. But is it enough to secure your PC from external intruders? The answer is no. These preinstalled firewalls and Defenders are not capable to deal with virus and trojan horses that are constantly updated and are pretty dangerous for a system. Hence, you need an external software that can deal with any kind of virus and can prevent data theft and keep your PC safe. This list will provide you with 5 top free Antivirus Software for Windows to make your PC safe from hackers. These Antivirus software’s are available for free of cost to download. Upgraded version these antivirus software’s will provide you with additional security. Installing these antiviruses will ensure your PC’s security from hackers and sniffers. They will also maintain data security and integrity. Bitdefender is capable of successfully removing, blocking and neutralizing malware. It also comes with multiple layers of additional security to make your PC safe. 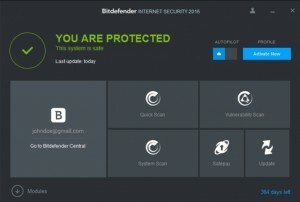 Many industry reviewers have marked Bitdefender as the best antivirus software of 2016. Bitdefender also comes with an additional security for online threats such as social media, phishing, spams and spyware. You can get an 30 day trial of this software by clicking on the Download link below. Kaspersky antivirus is a security package that offers all round protection from various threats. 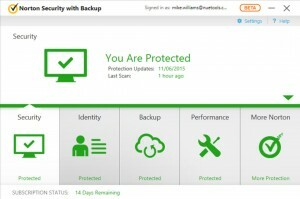 This antivirus software is an easy to use and highly secure tool. Kaspersky has been around for a long time and we have seen constant improvement in its antivirus engine. Some basic features of Kaspersky are: All round protection, Virtual keyboard, Hasslefree system, automatic backup and restore and social media protection. Kaspersky is highly capable to find and delete any kind of malicious tool of programs. To download Kaspersky Antivirus 2016, Click the download link below. McAfee is known for its protection and data security. It comes with a bundle of features and free license. 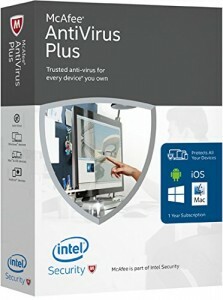 This antivirus software is easy to install and use. One of the best feature of McAfee is that it does not eats your PC RAM’s, hence can easily function with low memory. It also gets a continuous update from the company. Hence, you don’t have to worry about any new type of viruses. To download McAfee Antivirus 2016, Click the download link below. F-secure is one of the fastest antivirus scanners of 2016. It starts functioning as soon as you click on Install Now button. It is also known for its protection against viruses spread through emails, cookies or malware. It also has an easy interface to work with. 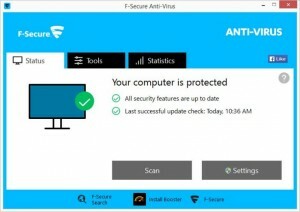 F-Secure Antivirus can protect your PC against viruses, spyware, worms and Trojans. To download F Secure Antivirus 2016, Click the download link below. Norton antivirus has always been the best antivirus software for decades. Norton security comes with a mixture of features from all the above antivirus software. It contains a rootkit scanner, social media security, firewall security and many more. Only disadvantage is that it eats up a lot of memory from your system. Hence, it becomes impossible to open another high-performance software with Norton scanning in background. To download Norton Security Antivirus 2016, Click the download link below.